Since 1979, Bloom Roofing has installed, replaced, and repaired hundreds of PVC roofing systems throughout Michigan and the Midwest. Polyvinyl Chloride roofing, also known as PVC, is a roofing membrane derived from two simple ingredients: fossil fuel and salt. 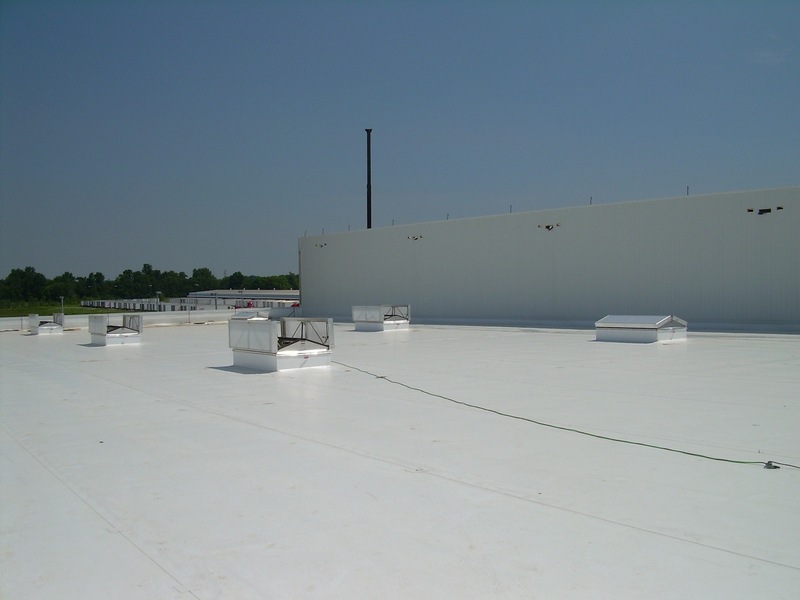 Modified with plasticizers and stabilizers for improved flexibility and stability, PVC roofing systems have remained as one of the most commonly used materials for commercial roofing. Many people consider PVC roofs to be an energy-efficient, low maintenance, long-lasting, and cost-effective commercial roofing solution. What can building owners with a PVC roof system do to prevent roof failure? Regular bi-annual roof inspections during warm weather need to be conducted to check for any early warning signs of potential issues like membrane tension, shrinkage, tears, or discoloration. At Bloom Roofing, we have the knowledge, experience, and ability to help identify these issues and make the necessary repairs before they become major problems. Within the H Hotel in Midland, Michigan lives The H.H. Dow Leadership Academy, a leadership training center for Dow Chemical Company's employees throughout North America. Bloom Roofing devised plans for an 80 mil Sika Sarnafil system that could be applied to the courtyard's leaking system in addition to the other renovations to the H Hotel. This state-of-the-art waterproofing solution eventually lead to the job being selected in 2008 as first place for Waterproofing Systems in Sika Sarnafil's Roofing Projects of the Year Competition. Are you a business owner looking to have your PVC roofing system inspected, repaired, or replaced?